~ Bloodborne Pathogens Standards class and exam by Laurna Marika. A current BBP class is required to take the CPCP exam. ~ Day One Paramedical Procedures Workshop with Vicky Martin presenting areola tattooing and Karen Betts, CPCP presenting alopecia and the male brow, including hands-on practice medium work to learn and perfect their amazing techniques. ~ Melisa Ferriola, CPCP, will discuss Cookie Cutter Eyebrows and why one size does not fit all. ~ Nikol Johnson-Sanchez is back to teach us how to be relentless and unstoppable in our lives. ~ Upon many requests, Greg Shergold will teach us about medication red flags associated with mental illness. ~ Ivona Perec, MD, a plastic surgeon at the University of Pennsylvania will discuss the effects of aging skin as it relates to our procedures. 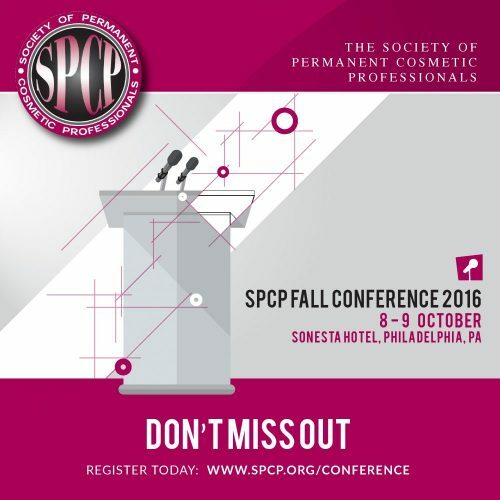 ~ Everyone needs to brush up on protocols proper set up and tear down for our procedures – Jacque Folsom, CPCP, will show us how. ~The always-popular Panel of leading experts to answer your industry-related questions will end the day.